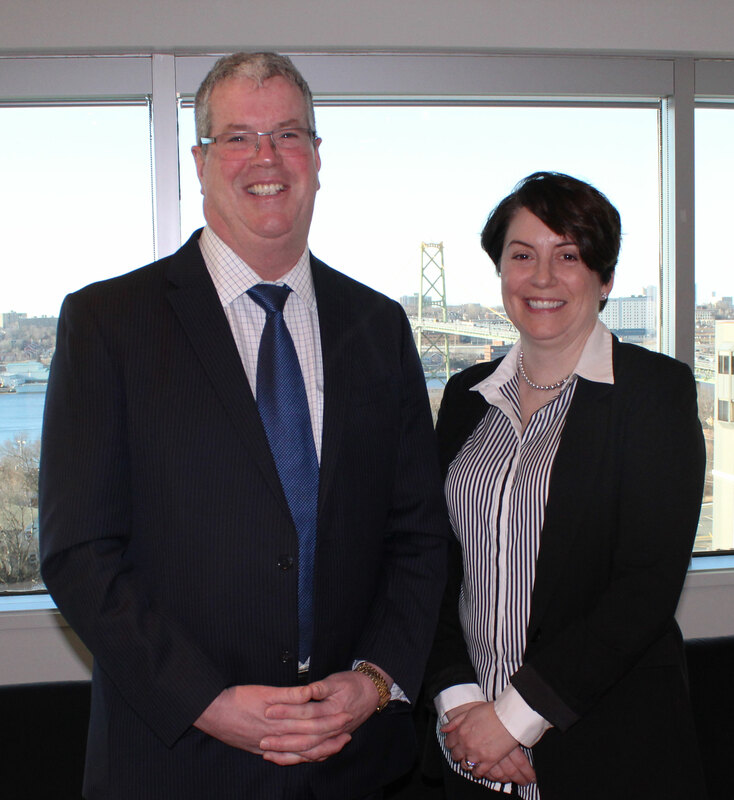 DARTMOUTH, NS (Jan. 31, 2019) - Stephen Harding, President and CEO of the Dartmouth General Hospital Foundation is pleased to announce the appointment of Dr. Carla Pittman and John Fitzpatrick, Q.C. as co-chairs of the $13 million Above and Beyond Capital Campaign. Both of these committed volunteers and longtime supporters of the Dartmouth General Hospital have dedicated much of their time to help with the success of our campaign to date. They join our campaign’s honourary chair, Fred Smithers, O.C. The Above and Beyond campaign will support the $138 million DGH Redevelopment Project which includes a three-story addition housing a new state-of-the-art Surgical Centre with eight operating rooms, two of which will be dedicated to Orthopedics, as well as a new Ambulatory Care and Endoscopy Centre with eighteen new clinic rooms. The Dartmouth General is also undergoing renovations to its 5th floor, where 48 new inpatient beds will be added. A new front entrance and lobby, ICU, IMCU, as well as a reconfigured Diagnostic Imaging department will round out the massive redevelopment that is currently underway. The hospitals new and renovated facilities will help reduce wait times for primary joint (hip and knee) replacement surgeries and endoscopic screening procedures; increase capacity in inpatient, outpatient and diagnostic care; and improve patient flow, privacy and comfort. Dr. Pittman, who has been a physician at the Dartmouth General for 17 years, has successfully led our internal physician’s campaign over the last year. She has been a member of the Above and Beyond Campaign Cabinet since its inception and has assisted the Foundation in acquiring several transformational gifts. John Fitzpatrick has been involved from the early planning stages of the Capital Campaign and has also held a seat on our Campaign Cabinet, working closely with volunteer leaders and transformational gift donors. John has been a committed volunteer to many community and professional organizations and is an enthusiastic fundraiser and advocate for the Dartmouth General Hospital Foundation.